Everyone has had the pleasure of meeting the person who is responsible of delivering both your meal and a personality which is warm and inviting. It is by far one of the toughest jobs out there because not all restaurant go’ers are typically nice to wait staff. Wait staff have the grunt work most of the time, like dealing with rude customers, taking complaints about the food when the chef or cooking staff made the error or when the waiter does not get a tip at all. It became apparent to me more than 10 years ago which all wait staff were legally allowed to be paid a lower wage than minimum wage. This article is dedicated to exploring the legality and the responsibilities of both employees and employers. Tipped employees who claim tip credit on their payroll can legally be paid a wage of $2.13 an hour for all hours worked. The employee who is paid this wage does not get this wage altogether, they must have a tip credit which brings them to the federal or state minimum wage (which is $7.25 in Louisiana). If the employee fails to get to the minimum wage, the employer must make the employee whole by bringing them up to the full $7.25 an hour. I’ve read Facebook posts saying waiters and waitresses were struggling to pay bills because they only get $2.13 an hour and would go home virtually broke after taxes. I informed the person how the FLSA protects tipped employees and requires employers to make employees whole with the full minimum wage if they do not get the applicable tips. The FLSA fact sheet below describes tipped employees as those who regularly receive at least $30 in tips per month. 5) The tip credit will not apply to the employee unless they’re informed of these stipulations above. If your employer is only paying you $2.13 an hour and not bringing you up to your respectable minimum wage and overtime rate because of lack of tips; you should contact the wage and hour division of the department of labor after attempting to get the employer to pay you the wages you’re due. 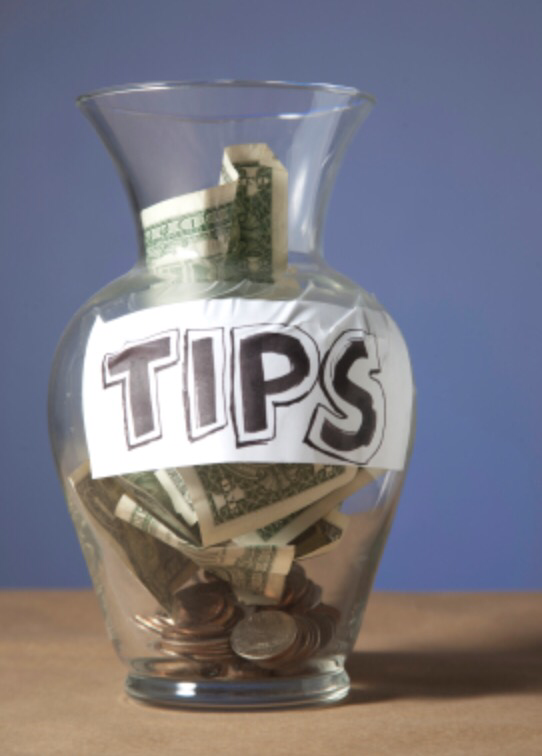 Employers do not get the tips and dispearse them unless the customer pays tips by credit card. In this specific instance, the employer needs to pay the employee their tips less any applicable credit card fees. If the employee is still below the minimum wage after tips are paid, the employer must bring the employee up to the respectable minimum wage. The only other time an employer may pay an employee less than minimum wage is when an employee under the age of 20 starts working for the first time at their place of employment. The employer can legally pay the employee a wage of $4.25 an hour ($6.39 overtime rate for hours over 40) for the first 90 days of employment. Once past 90 days, the employer must move the employee to the respectable minimum wage of the state. If the employee leaves at 60 days and comes back 40 days later, the employer may not continue to pay the employee the lower wage because the clock stops at 90 days (whether working or not). So for those out there who believe tipped employees are going home broke, the question should be asked if the place of employment is bringing them up to minimum wage when they’re not tipped. I definitely want all employees to get a fair wage, and I absolutely have sympathy for anyone who struggles to get by while getting paid minimum wage. So if you’re employer is not paying you the wages you’re due, please speak to them. If you’re lost, contact me and we can figure it out before advising you to go to the department of labor. Previous PostCan employers withhold wages from cashiers when the cash drawer is short?Next PostHow job interviews are like a first date.